Bins! A common everyday sight, especially at schools, but which bin is best suited to your grounds? We take a look at our most popular bins to help you decide. The Nickleby litter bin is a traditional and stylish looking bin but it is made from UV stabilised polyethylene meaning that this bin will service you for a long time without succumbing to any of the harsh weather conditions. 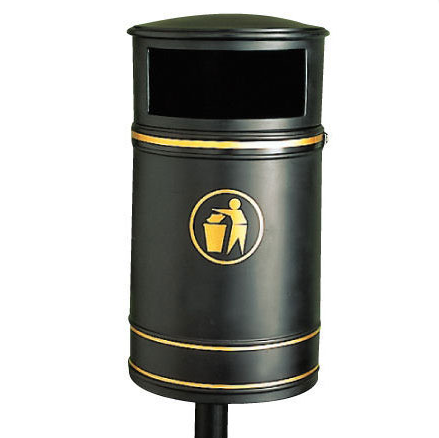 The bin itself can be mounted on a wall or on a post making it extremely versatile and has the option of a lockable lid. 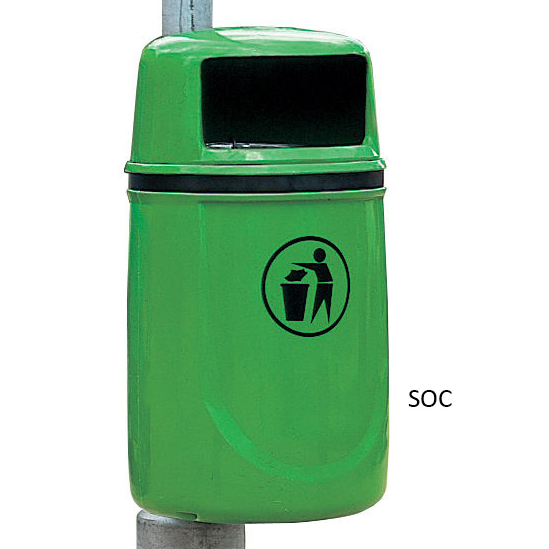 The Osprey litter bin is probably the most recognisable out of all our bins with its distinctive bright green colour; you will see these dotted about parks and cities across the country. 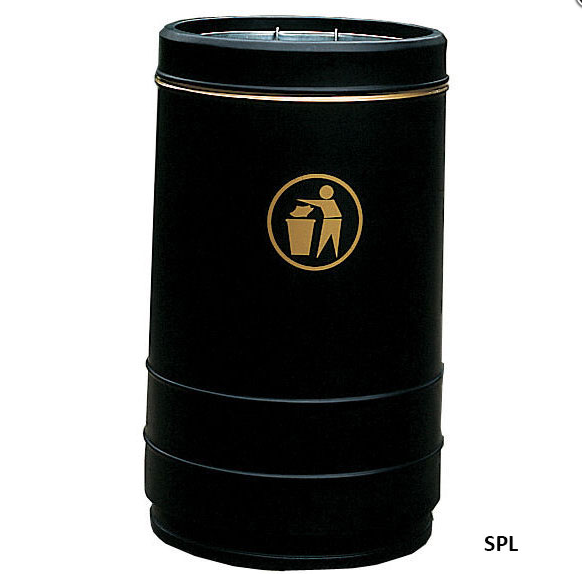 The bin itself comes with a metal liner and the option of an open top or lockable lid design. The bin, like the Nickleby, can be wall mounted or attached to a post giving you versatility and freedom when choosing where to place your bin. It also comes in an array of colours to choose from allowing you to match to your schools colours. The Pickwick litter bin is a free-standing open top bin which can be bolted down or ballasted depending on your preference. 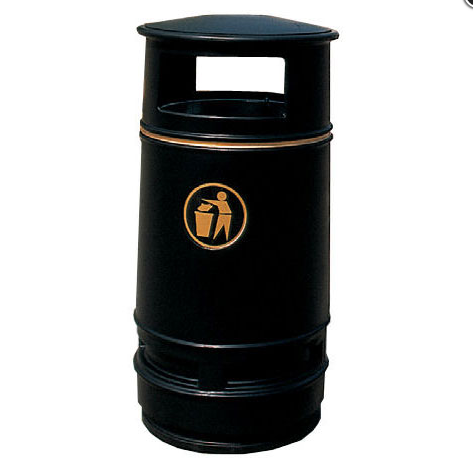 The bin itself is classic and stylish looking available in black, burgundy or dark green. It’s made from UV stabilised polyethylene so it will be able to withstand all sorts of weather conditions. There is also the option of a galvanised liner. The Falcon is a free standing open topped bin which can be bolted down or ballasted. 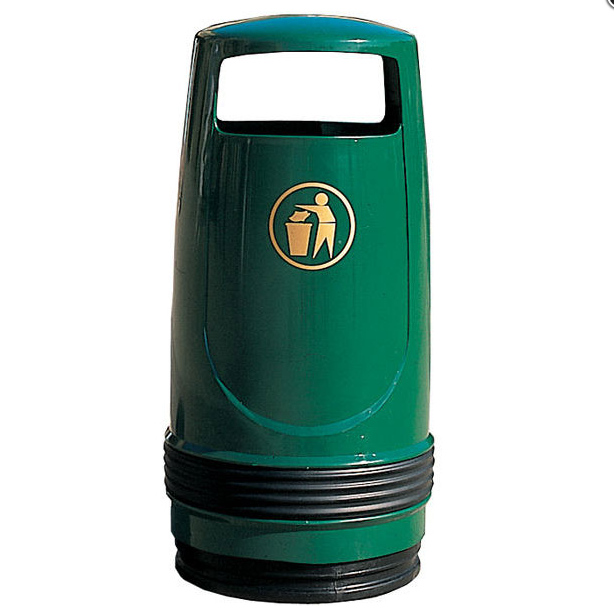 It’s a strong and durable bin and its bright colour is designed to attract people’s attention and encourage use. It comes in multiple colours including red, yellow, green, blue, dark green, burgundy, beige and black. The Copperfield much like the Nickleby is a classic and stylish Victoriana design featuring a hood. 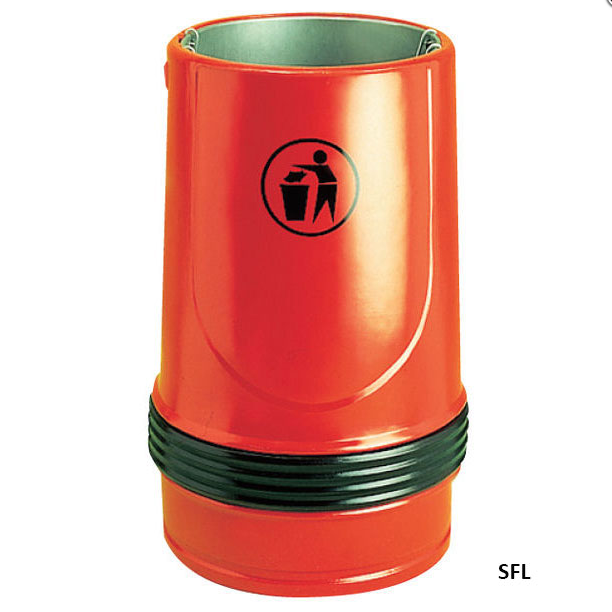 Like other bins it is made from UV stabilised polyethylene making the bin durable for outside use against all weather conditions. The bin can be bolted down or ballasted and comes supplied with the hood and a metal liner. 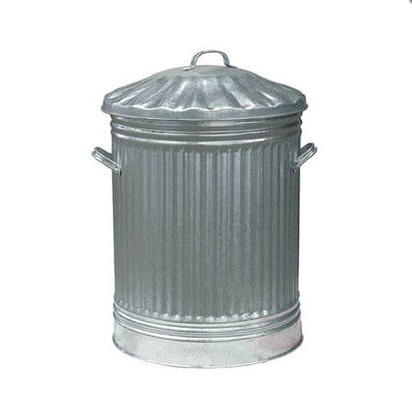 The Merlin bin is another one of those everyday sights; the freestanding hooded bin includes a metal liner with a unique bayonet and locking fixture for added security. It’s designed to be topple free and you can attach to a ballast for added sturdiness, it’s easy to empty and is an incredibly durable bin. It’s available in beige, black, yellow, red, green, blue, dark green, brown and red. All of the above bins are made from high quality materials in the UK. If you have any questions regarding these bins please do not hesitate to call our award winning and friendly customer service team on 0808 163 3704 and they will be happy to help.